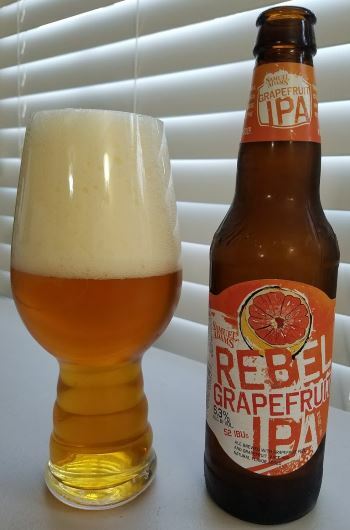 The Boston Beer Company has been expanding its Rebel IPA line of hoppy west coast style IPAs, and the latest addition is this grapefruit infused version. While I love the concept, this one doesn’t quite hit home for me. There’s definitely grapefruit in the form of citrus oils in the nose. The middle is more grapefruit rind giving it a characteristic bitterness. Hops come to the fore in the finish, floral and piney. All the right ingredients are here for a a smash hit, but to me, it turned out a bit one-dimensional, and weakly, not authoritatively so. The grapefruit was mainly there to add bitterness, which it does well, but there’s so much more to extracted if one were to reach a bit deeper. 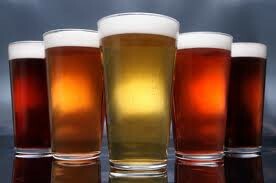 The body is medium, and the alcohol is an agreeable 6.3% ABV. I really like the original Rebel IPA, and the concept here is great, but in execution, it could have been so much more than it is. This entry was posted in Reviews and tagged Ale, American IPA, Boston Beer Company, Fruit Ale, Fruit Beer, IPA, Massachusetts, West Coast IPA on November 15, 2016 by Xander.